GKIDS announced today that it has acquired North American distribution rights to three features by Japanese director Masaaki Yuasa: his two films from last year – Lu Over the Wall and Night Is Short, Walk on Girl – as well as his visionary 2004 classic, Mind Game. 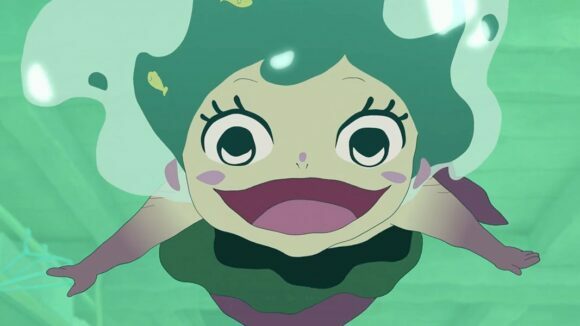 GKIDS created an English-dubbed version of Lu Over the Wall that will premiere at Sundance later this month. All three films will also be released theatrically in their original Japanese language with English subtitles. GKIDS has already released Mind Game digitally on Ellation’s VRV Select platform. A limited theatrical release of Mind Game will start February 2018, followed by distribution on other ancillary formats. Below are the Japanese trailers for Lu Over the Wall, which won the grand prize at the Annecy animation festival last June, and Night Is Short, Walk on Girl, which won the grand prize at the Ottawa animation festival last September.